Art Museum Guild Program: Talk by Sioux Falls artist Anna Youngers. Anna's work has been featured in South Dakota Art Museum exhibitions including, Women at Work: South Dakota, the South Dakota Governor's 7th Biennial Art Exhibition and the current South Dakota Governor's 8th Biennial Art Exhibition (on display through April 20, 2019). Anna's talk begins at 10:00 a.m. with coffee served at 9:30. This is free and open to the public; Art Guild membership not required. BATA Bus transportation is available. Call or email Pam Adler by noon on Monday, Feb. 25 to make a reservation (605-688-5423). Driven by an innate curiosity and love of discovery, Anna Youngers (b.1985) uses her brushes and canvas to investigate a deeper understanding of the natural world. Her sensitive and timeless depictions reveal beauty in both the common and the extraordinary. Youngers began her professional training early in life when at the age of sixteen she undertook a four-year classical apprenticeship at Pantura Studios with painters Hans-Peter Szameit and Sanna Tomac. 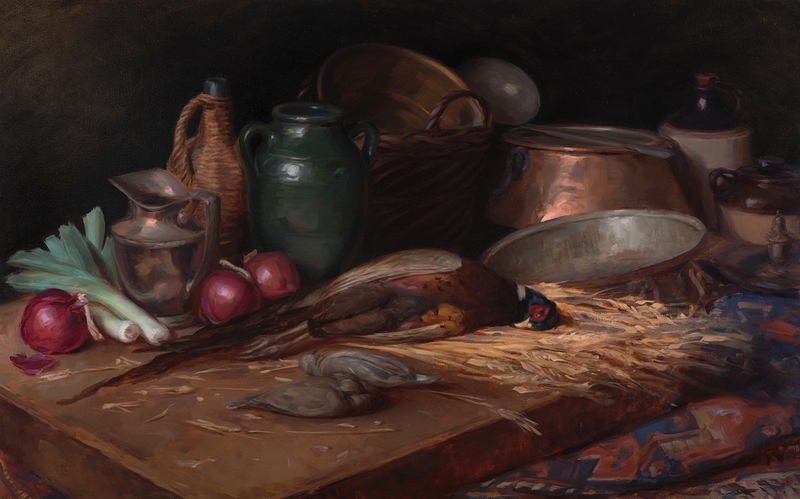 She credits her classical atelier training and apprenticeship with providing her a strong foundation in draftsmanship and the technical craft of oil painting. Her working methods today continue to evolve, but remain strongly rooted in the classical tradition. Upon completion of her training in 2006, Anna opened her studio in downtown Sioux Falls, SD, where she currently paints and teaches private classes. Parking is available without a pass in the Museum's reserved parking just west of the Museum on Harvey Dunn Street (in front of Scobey Hall) and on the street on Harvey Dunn Street. Handicapped parking is available on the north side of Harvey Dunn St. just west of Medary Ave. and in the Art Museum parking lot.